Ever wonder about your house number? Often, the previous owner installed the number and the new owner never had to think about it, leaving them clueless as to why it was placed where it is or why a particular color or size was chosen. These numbers are more important than you probably realize, and a lot of thought goes into making sure they are visible. House numbers should be clear enough so that police, the fire department, paramedics, etc., can quickly locate properties in an emergency. Numbers are often the only way that first-responders can identify their intended destinations. Your city might even have laws requiring your house number to be of a certain size or color. Also, think of the poor pizza delivery guy who runs late because he can’t find your house, or frustrated party guests who have to knock on neighbors’ doors before they find yours. The numbers should be large, within reason. Try to make them at least 5 or 6 inches tall. Smaller numbers may not be visible from the street if you have a large front yard. Replacement house numbers can be purchased from hardware stores and online. The numbers should be of a color that contrasts with their background. Reflective numbers are great because they are easier to see at night. Brown on black or white on yellow may look swanky but are bad choices for the purpose. Try not to put house numbers behind any trees, shrubs, or anything else that may obscure their view from the street. Make sure that the number faces the street that is listed in the house’s address. It does emergency workers no good if the house number faces a different street than the one the workers are traveling on. Is your house not visible from the road? Then the number should be placed at the driveway’s entrance. The next time you hire an InterNACHI inspector, ask him whether your numbers are adequate. Inspectors should know the laws in your area and be able to offer you a professional opinion. Keep in mind that you may need to make adjustments. The addresses assigned to houses by the city occasionally change, and you must adjust your numbers accordingly. The trees or shrubs in front of your house have grown so much that the number is no longer visible. House numbers installed in the winter may be visible during that season, but become blocked by budding vegetation by spring or summer. Maintain your house numbers, along with the rest of your home’s exterior. Keep your numbers clean. They may not be reflective or contrasting if they are covered in mud. Trim back vegetation as needed. Don’t let piles of snow obscure the numbers. If this happens, raise the number so this situation does not happen again. 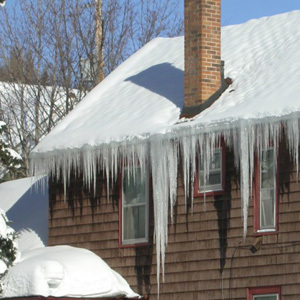 Water damage caused by bursting pipes during cold weather can be devastating. 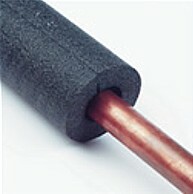 A ruptured pipe will release water and not stop until someone shuts off the water. If no one is home to do this, an enormous quantity of water can flood a house and cause thousands of dollars’ worth of damage. Even during very small ruptures or ruptures that are stopped quickly, water leakage can result in mold and property damage. Broken water pipes can be costly to repair. The damper should open and close with ease. Smoke should rise up the chimney when the damper is open. If it doesn’t, this means that there is an obstruction in the chimney that must be cleared before the fireplace can be used. 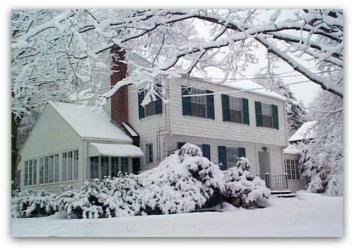 snow and ice are more likely to slide off of a smooth, metal surface than asphalt shingles.